Preheat the oven to 300°F. Place the egg whites in a mixing bowl and beat until white and fluffy, about 3 minutes. Gradually add in 1 cup of sugar and cream of tartar. Beat another minute to combine. Scoop into a buttered glass pie pan and bake for 50 minutes, until puffy, lightly browned, and beginning to crack. While the crust is baking, make the filling and let it cool. Remove from the oven and let cool completely. The crust will begin to crack and fall as it cools. While the crust is in the oven, whisk together the egg yolks, 1/2 cup sugar, lemon juice, zest, and salt. Microwave for 3-4 minutes, stirring every 45 seconds. (I microwave it five times for 45 seconds each, whisking until smooth between each cooking time.) The whole process takes about 5 minutes. Let cool. 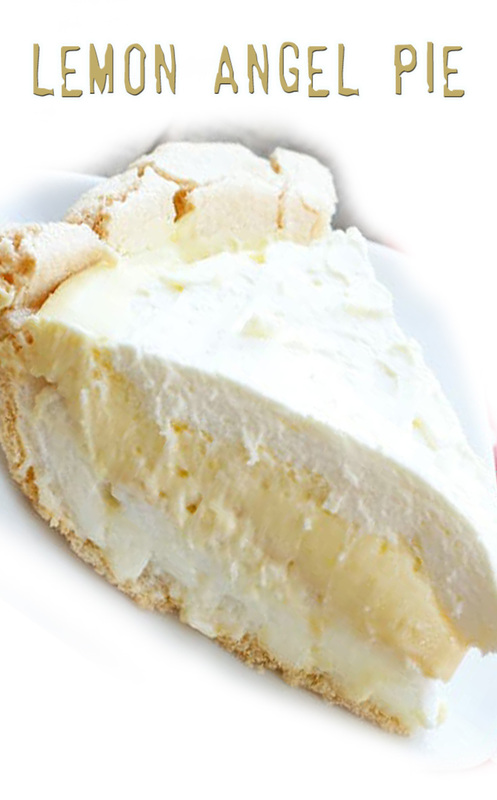 When both the crust and the lemon filling have cooled, whip the cream into peaks and whisk 1/2 the whipped cream into the lemon mixture. Spoon the lemon mixture over the crust and spread with a spatula. Scoop dollops of the remaining whipped cream over the lemon filling and smooth with a spatula. Refrigerate 12-24 hours before serving. The pie will keep nicely in the refrigerator for 2-3 days. Enjoy!